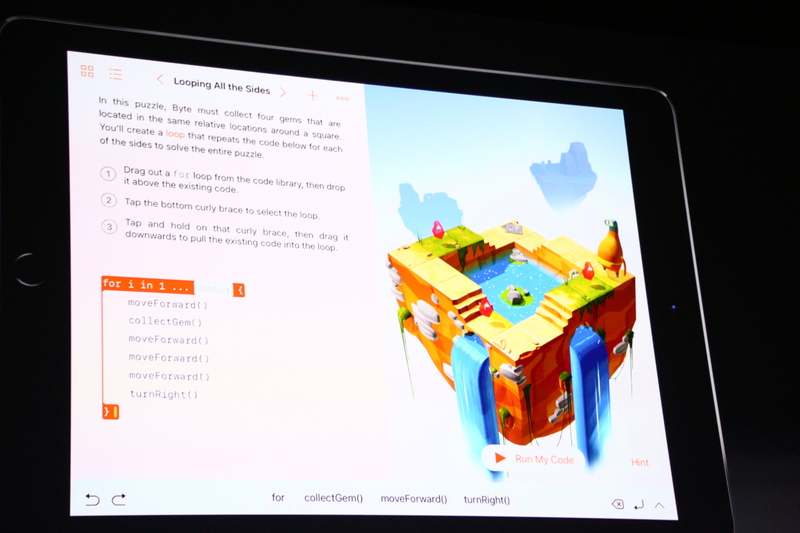 Apple today announced Swift Playgrounds for the iPad, a new project that aims to teach kids to code in Swift. 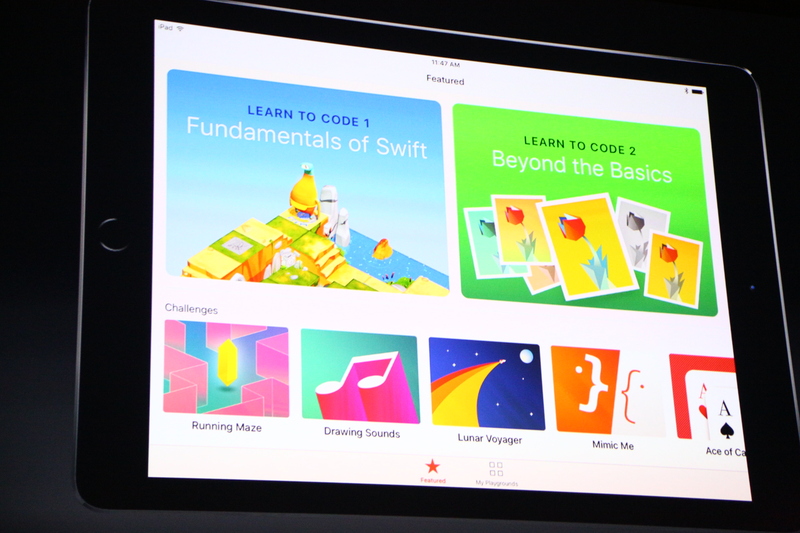 When you first open it, Swift Playgrounds presents you with a number of basic coding lessons, as well as challenges. The interface looks somewhat akin to Codecademy, but it’s far more graphical and playful, which makes sense, given that the target audience is kids. Most of the projects seem to involve games and fun little animations to keep kids motivated. To make coding on the iPad a bit easier, Apple is using a special keyboard with a number of shortcuts and other features that will make it easier to enter code. With Swift, Apple introduced a new programming language (which is now open source) and hence needs to get people to learn it. And the earlier they get comfortable with Swift, the better for Apple. Swift Playground clearly isn’t meant for experienced programmers who want to learn Swift but instead is meant for kids who want to learn some of the basics of coding. These kinds of lesson-based services can provide some useful introductions to a language, but in the end, a project-based approach typically works far better than working your way through lessons. 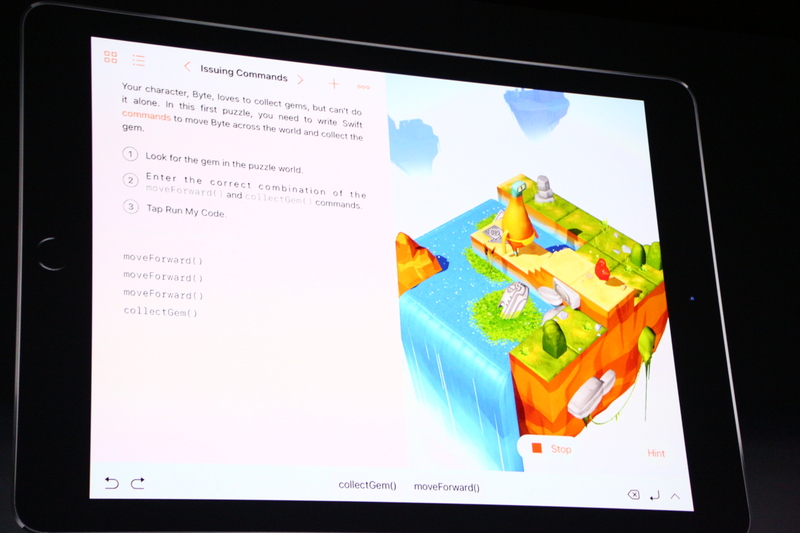 Swift Playgrounds, by the way, was a project that also aimed to teach kids to code. It was started by Stefan Mischook back in 2014 when Apple first announced Swift. As far as I can see, the two projects are not related, but it is interesting that Apple essentially used the same name as this project. The developer preview of Swift Playgrounds is launching today, and the final version will ship with iOS 10 in the fall. The app will be available for free.